You will however have to do a little work to get this free money making site. If you’re willing to invest the time, you will either be able to make stores for others, or yourself. The payoff is a store that will make money in its first month. That works out to a total cost of $7.65 per month. If you need a good domain name check out this free tutorial Find a Domain Name. I trust you can install WordPress, if not I have you covered Easy WordPress Install. Now what about the Shopping Cart friendly WordPress theme? I made one that is 100% free for you to use. Download it here for free Shopping Cart Theme. Now that you have your shopping cart set up you need to drive traffic to it. You can either pay affiliates a ton of money, or use an amazing alternative from Google. It is called the Google Merchant Program. It’s also FREE! After you set up an account with Google Merchant, you will be able to compete with every major store online. Google Merchant will allow you to start making money right now! So here is the final piece of the puzzle. I describe in Increase Internet Sales, how to set up a Google Merchant program and enter your products using an automated feed! I have seen results using Google Merchant that amaze me. Did I say it’s free? After you start making money you may find the need to make additional purchases, but probably not. If you want to use Fedex, you will need to buy a plugin for WP E-Commerce. If you want to use Google Checkout, which may be a good idea because you are counting on Google Merchant? You need to spend $12.99 / year on a SSL certificate. I hope the above helps you. If you have any questions leave a comment below. I feel that anyone who is willing to put in a little effort can make money online. It isn’t always easy, but it definitely is inexpensive. How did you get to be so awesome? Your stuff blows me away! What are the products that you usually sell in your online store? I look for high margin products. I have found products purchased by schools, universities, hospitals, military, etc. are normally marked way up. So I find a few products and see what they are selling for on Google Shopping. I then get the lowest priced item, mark it up and send suppliers the list and ask them if they can sell me the product at that price. If so I ask about minimum orders for drop shipments. If everything works out so that I can sell the product, have it drop shipped and make some money I add that product to the product catalog. Hello I am late with this video, but I want to find other ways to make money and having an online store would definitely be a big help. My question is how do you deal with shipping, orders, and how do you get to store all products? What I do is find distributors that need a website. I then offer to make them the site for free in exchange for a percentage of the profits generated. Lately I have been getting into dealing with manufacturers though. The whole idea is to avoid carrying inventory of any type. Most manufacturers are going to try to get you to buy in bulk as well. I just find middle men that are willing to carry inventory and then have them ship directly to my customers. It is called drop shipping. For drop shipping they normally require a minimum order so i just don’t sell any of their products that don’t meet that minimum amount. When you are first starting you look for high margin products. Then you call people until you find people willing to give you the products you want at the price you want and the terms you want. It is mainly phone work. I like all your videos. You are my roll model. I wanna watch all your videos :-). Can you give us examples that uses these kind of shopping stores? I really confused which is real company( Amazon, Gaps etc ) or some thing like this. Thanks for helping us to grow rich. Is it possible to integrate with Suppliers thru google merchant? I mean If I want to sell the TV products, is it possible to integrate with Sony? If so, which product/plug-in that I need to install or is it manual process to talk with suppliers? Is google merchant provide the suppliers list that we can integrate? You’re going to have to set up connections with suppliers on your own. Electronics are going to be very hard to sell online because the margins are to small. Search for products that have very little competition and high margins. Look for products that are manufactured near you. If it is manufactured in China chances are they will require you to carry inventory. Never carry inventory. First let me say that your tuts are some of the best I have seen on laying out the information and giving you what you need to know to get up and running fast so thank you for your time in making them. I do have a question on the e-commerce though. How do you handle the situation if your online store is successful and you start receiving several hundred or several thousand orders a day? Do you have some type of automation coded in to send the orders to your drop shipper? Or do you have to manually go through each order and send the order information to your drop shipper? Hi Sir, i am a fan n a follower f all ua tutorials, thnx for wat u hv done for us .. 🙂 .. lately i found the money making tutorial n m v.excited about it ..! .. Please help, m not understanding what to do ..? That way it will be extremely easy to work with apache on a web server that you’ll more than likely use in the real world. I am struggling with this sir, downloaded free artisteer 4 but not getting what to do .. The layout is already set up for the site i thnk in the starting of the video which shows your artisteer design .. Ya it does Sir, Thnks alot for design , i will make some changes in it though 🙂 ..
.. The problem now is I only used XAMPP till now n dnt hv any idea about UNUNTU n all as i am new 2 programming 🙁 .. n m v.much inspired by ur videos .. Thanks a TON .. 🙂 .. Please suggest me some ways to earn money online without investments .I tried so much but was unsuccessful all the times I tried but eventually I got you .I want a easy income . I don’t believe there is such a thing as easy income. 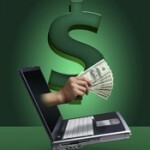 What I present here is an extremely cheap way to start a business online. This is how I make most of my money. There are constantly opportunities for selling products online. Just look for high margin products. I just started another online store in the past month. I’m also getting very good at finding and working with Chinese manufacturers now on ali baba. There is always somebody near you that needs to sell online, or there are opportunities you can find for selling your products online and most of the time you don’t need to carry inventory. Ya sir I do understand what you tell .Please tell that how e blogger can help us and if there is any possibility of making money with that then please suggest that as many of us will get helped who are newbies. Can you recommend any good drop shippers. Oh and you awesome, thanks for all the info. First off, don’t use one of those services that promise to find you companies that drop ship. They are mainly scammers. What I do is find products that I want to sell. Then I go to the website for the company that manufactures the products. They normally provide a list of distributors that sell for them. If they don’t provide a list I call the manufacturer. Then I contact everyone on the list until I get the best price. Lately I have found it is getting easier to deal with companies in China. They are limiting quantities and they are providing better customer service. I hope that helps. I’m the guy who showed you those 3D castles a few weeks back. Thank you as always for the well explained guides. I have three quick questions regarding the WP E-Commerce plugin. Apologies in advance if I missed either of them in your videos. 1. I am building a store for a client and I was wondering if the E-Commerce plugin included some sort of Product/Database management system for adding or removing products by the admin. Thanks to your PHP and SQL tutorials I can make this myself, but I didn’t want to create it if the plugin already included something like that. 2. I saw how you linked to an individual product’s page through the “More Info” button. When you fetch the location for the product page, I see that you use ‘get_permalink( $product->ID )’. Does the variable ‘$product’ contain a string that is something like ‘singleProduct.php’? If that is correct, then in your ‘singleProduct.php’ file, is it safe to assume that you simply pass the current ID throughout the page to display the image, description, and all of the other data for that product? 3. Let me know if #2 was confusing. Can you test this plugin offline, or would you have to finish the theme and test it online? Yes it stores all of the products and a ton of other information in a database. Basically it uses the strength of WordPress to handle pulling the right images, descriptions and everything on the page. Every product is stored in the database and it works just as wordpress works in regards to storing pages and posts. I believe the plugin works offline, but I can’t remember. There really isn’t any security risk because everything is handled by PayPal, or at least that is what I use. Make sure you get the WordPress firewall plugin. You may also want to get the Sucuri plugin which costs about $9 / month for added security.